Eli Creekmore was the inspiration for Ardis Morrow and Poulsbo Rotary's efforts to alleviate the impacts of domestic violence in our community. January 12, 2019 was magical. 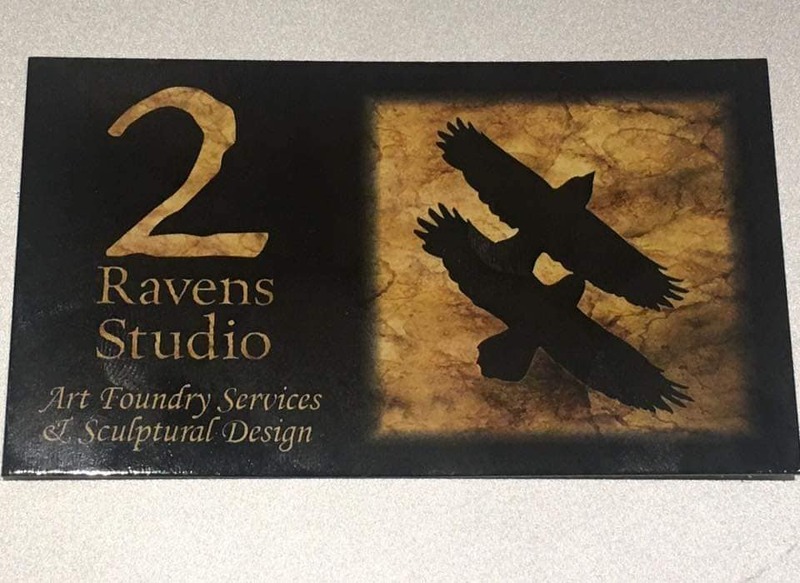 On a most glorious day, John Pyles, Ardis J. Morrow, D Rand Hillier & I (Ann Pyles) headed to Two Ravens Studio - a full service art foundry in Tacoma. There we met up with artist, Jeff Oens, Sue Oens, his partner, David, Gale Kirsopp and her partner, John, Brian & Susan Patton. We all came to witness the bronze pouring of the Eli Sculpture. Eli Creekmore was the 3 year old great grand nephew of Ardis Morrow, who was killed by his father in 1985. The Eli Sculpture is dedicated to the memory of his life. All of the funds needed to create the sculpture were donated by private individuals to the Poulsbo-North Kitsap Rotary Foundation. We are so very grateful to these people who helped bring Eli to life. 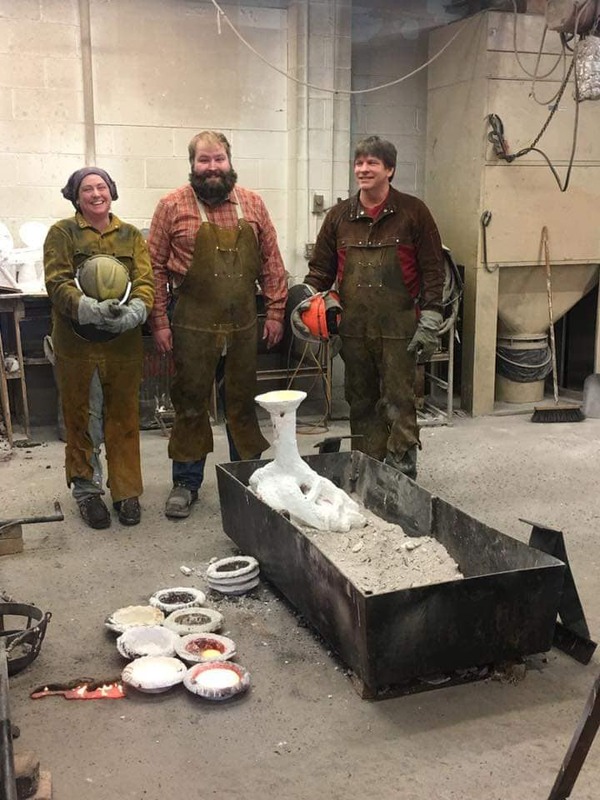 Jeff gave us a tour of the foundry while Co-Proprietors, Ed Kroupa & Katrina Taft and staff prepared to show us how a bronze sculpture comes to life. First came the clay Sculpture, then the wax replica. After the wax sculpture was perfect, it was cut into three pieces so that molds could be made & it could be poured successfully. The foundry had poured the head and torso piece before we arrived, and it has been sandblasted once. We watched the pour of the bottom half of his body, minus one foot, which is still being prepared for the pour. It was exciting to see how well the three individuals doing the pour worked together to make it happen. When all pieces have been poured and sand blasted several times, they will be welded together & the different patinas applied. 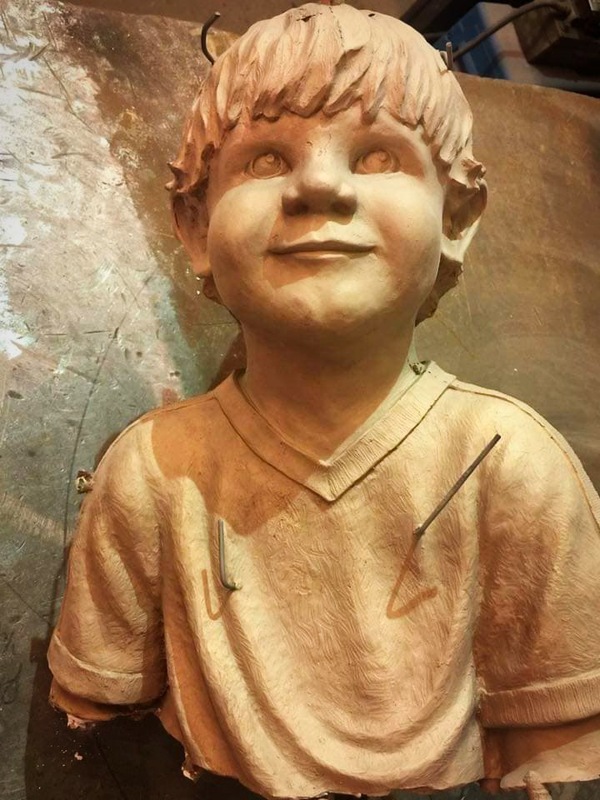 It has been quite a journey to get to this point, which began in early 2015 with a search for the best sculptor around to give us the perfect life-sized likeness of little 3 year old Eli. Lisa Stirrett told me about Jeff Oens and the care and skill he had in catching facial nuances in his bronzes. We have been blessed to find and work with him. His patience and sensitivity have been remarkable. And his ability to create such a wonderful likeness of Eli from only a few photos and Ardis's memories has been amazing. Thank You, Jeff, from the bottoms of our hearts. He even solicited and received the donation of a beautiful bolder from Shine Quarry on which Eli will sit. 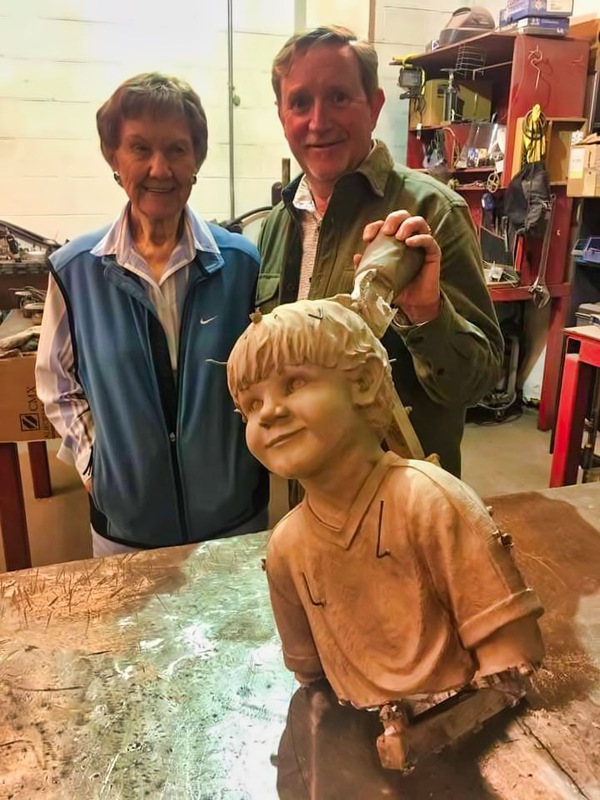 The Eli statue is destined for placement in the to-be-built Rotary Morrow Park on the corner of Noll & Noll in Poulsbo, right next to Morrow Manor (the 8 units of housing for survivors of domestic violence & their children that Poulsbo-North Kitsap Rotary is building). SAVE THE DATE: From 3-5 pm on February 24, 2019 we will be unveiling the final bronze Eli Sculpture at the Friedman-Oens Gallery at 8897 Three Tree Lane, NE, Bainbridge Island (across from The Barn). Come join us.